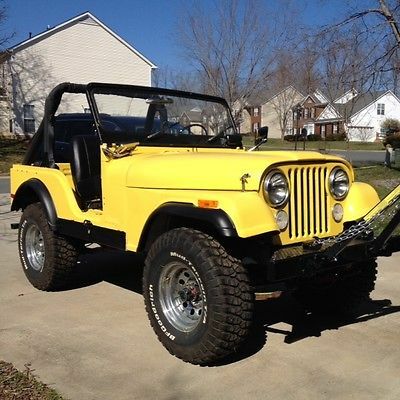 1972 Jeep CJ5, built August 71, Toledo OH, with factory V8, (first year for CJ5 V8) Production Number 336, August 1971, sold in California. I bought this car from California. It has original steel body, original Motor and drive train. The original odometer was working and read 65000. Power steering and manual brakes. The engine starts and runs great. Drive train is strong. 304 V8, three speed transmission, Dayna 44 front and rear. I replaced (precautionary) timing chain and gears, distributor drive gear on cam, water pump, fuel pump, intake manifold, carburetor (Edelbrock 4bbl), DUI unified ignition distributer, solid plug wires, hydraulic lifters, push rods, rocker arms, valve covers, air cleaner, window washer pump and tank. Fuel tank and lines were cleaned, new sending unit installed, new speedometer, fuel gauge, oil pressure gauge, voltmeter, Tachometer, clock, aluminum billet knobs and 12V outlet. 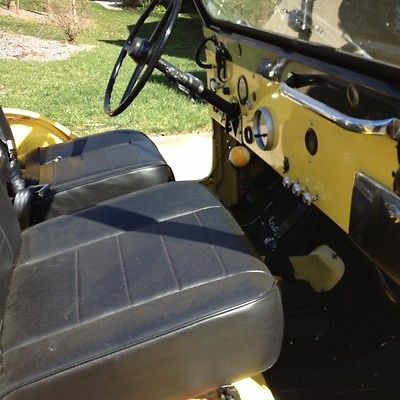 New seats, shift knobs roll bar cover. Floors had small “heel wear” holes (not rot) on both sides, I welded patches over them, installed rubber matting, insulation matting, marine grade black carpet and Jeep floor mats. New AM FM marine water proof radio with water proof case, marine antenna and marine speakers. Installed but not set up (manual included). New steering rod and tie rod ends. 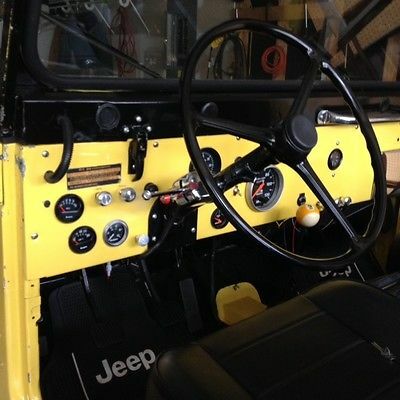 New steering wheel, steel diamond plate rock sliders on quarter panels. Quarters are solid. Aluminum diamond plate in bed sides are solid. There’s a new tail gate and swing away spare carrier. New BFG 32” tires with chrome wheels. There is slight pitting on the chrome. The paint is decent with a few chips here and there. I can’t think of anything else. See pictures and ask questions. Look this up on NADA. First year factory V8s are increasingly hard to find. 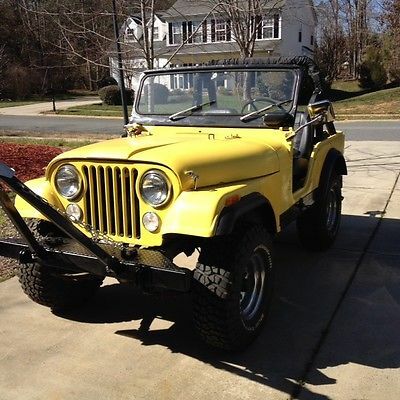 So if you’re looking for a classic Jeep, this is one that can be enjoyed and increase in value. I will consider trade for pick up truck 1935-1980.